Trigger finger, medically known as stenosing tenosynovitis, is a condition in which a finger or thumb gets stuck in a bent position. It may straighten on its own with a sudden snap, or you may have to force it. It gets its name because straightening the finger causes a popping sensation that feels like pulling a trigger. Trigger finger occurs due to inflammation that narrows the sheath surrounding the tendon in the finger. This prevents the tendon from gliding smoothly through the sheath as you move your finger. Some of the early symptoms include a lingering soreness and lump in the base of the finger near the palm, a clicking or snapping noise with movement, and stiffness in the affected finger. This condition most commonly affects the thumb or the middle or ring fingers. 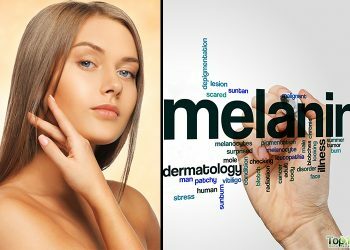 It is more common in women and individuals with diabetes or arthritis. Also, people whose work requires repetitive gripping actions are at higher risk of developing trigger finger. This condition can be uncomfortable and even painful. It limits the movement of the affected finger and can make it impossible to straighten it. 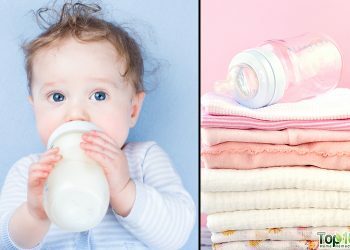 However, you can reduce the discomforts and treat the problem using natural methods. 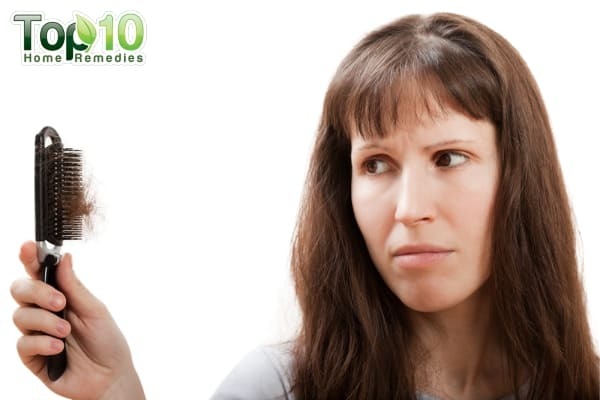 Here are the top 10 ways to deal with trigger finger. One of the best ways to deal with trigger finger is to rest the affected finger for at least three to four weeks. Proper rest is a key component for healing the tendon. It will also reduce soreness and inflammation as well as speed up the healing time. On the other hand, if you put pressure on the affected finger, you can exacerbate the inflammation and pain. Rest the trigger finger as much as possible and avoid activities that require repetitive gripping, repeated grasping or the prolonged use of vibrating hand-held machinery. You must also keep the affected finger splinted as much as possible until the pain and inflammation subsides. A splint will keep the affected finger in an extended position and prevent movement while it heals. It also helps rest the tendon and prevents you from curling the affected finger into a fist while sleeping. 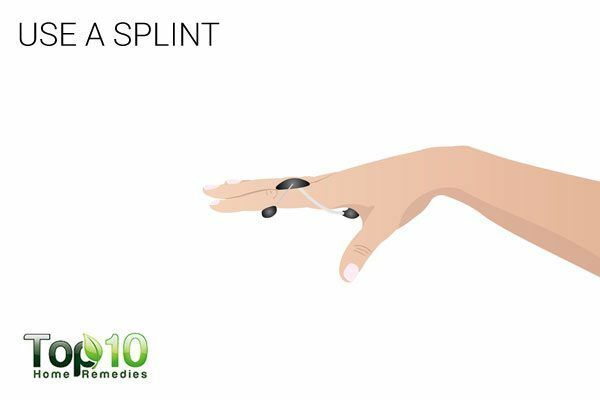 A 2008 study published in Current Reviews in Musculoskeletal Medicine found that splinting is very effective at reducing the severity and duration of trigger finger symptoms. Wear a splint for about six to seven weeks. However, make sure that the splint is not too tight, as that would inhibit blood circulation and lead to numbness or tingling sensations. You may also notice improvement in your condition by using a cold compress several times a day. 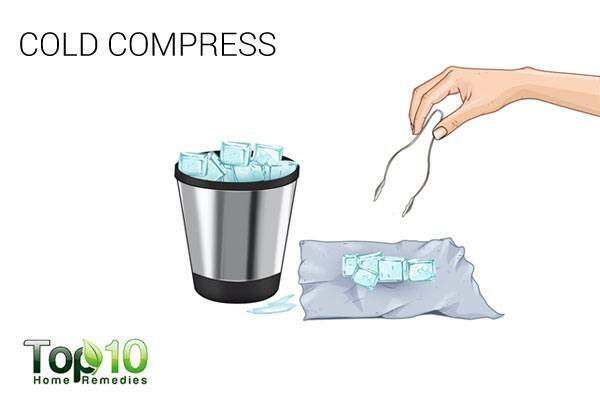 A cold compress offers a numbing effect on the nerve endings, which in turn aids in reducing pain and swelling. Put a few ice cubes in a thin towel and tie it securely. Apply this ice pack to the affected finger for 10 minutes. Take a break of 5 minutes and repeat 2 or 3 more times. Use this simple remedy a few times a day, as needed. If you do not have ice, you can use a bag of frozen vegetables or a cold spoon. Note: Do not apply ice directly on the skin, which can lead to frostbite. While a cold compress is effective, soaking the affected finger in warm water also can play a part in the healing process by relaxing the tendons and muscles. 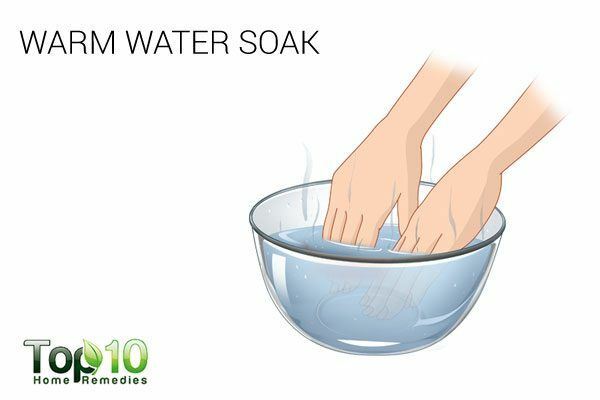 A warm water soak also increases blood flow, helps reduce pain and allows you to move the finger more easily. Fill a bowl with some warm water. Optionally, add 1 tablespoon of Epsom salt to it. Soak the affected finger in it for 5 minutes. Do it 4 or 5 times throughout the day. Note: Always test the temperature of the water to avoid burning your skin. Gentle exercises will help maintain mobility in your finger and also aid the healing process, so it gets back to optimal functioning as quickly as possible. Spread your fingers wide apart, then draw them together in a fist. Repeat 10 to 15 times. Do this exercise as many times as you can throughout the day. Hold a tennis ball or squeeze ball in the palm of your hand. Squeeze it for 10 seconds, then release. Do this exercise for 10 minutes. Repeat 5 to 10 times a day. Wrap a rubber band around your thumb and fingers, then try to open and close your hand against this resistance for 5 to 10 minutes. Do it several times a day. Massaging the affected finger regularly is another good way to treat trigger finger. A gentle massage will help increase circulation, relax the muscles, and reduce swelling and stiffness. Warm some olive, sesame or coconut oil in the microwave. Dab the warm oil on the affected finger. Use the fingers of your other hand to gently massage for 5 minutes. Repeat 2 or 3 times daily. Massage should always be done gently, as added stress could aggravate the condition. You can also get help from a professional massage therapist, if needed. Aloe vera has anti-inflammatory properties that help relieve inflammation as well as stiffness and soreness associated with trigger finger. The vitamins and amino acids in it also help repair damaged tendons. 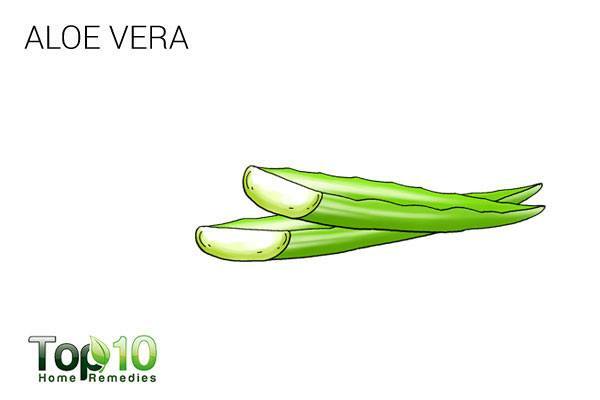 Extract the gel from an aloe vera leaf and rub it over the affected finger 2 or 3 times a day. You can opt to take aloe vera in supplement form, but only after consulting your doctor. Bromelain, a compound found in pineapples (especially in the stem), is an excellent remedy to help treat trigger finger. It provides anti-inflammatory benefits that help reduce pain and inflammation. Eat more pineapple and take bromelain in supplement form to help relieve the pain and inflammation. 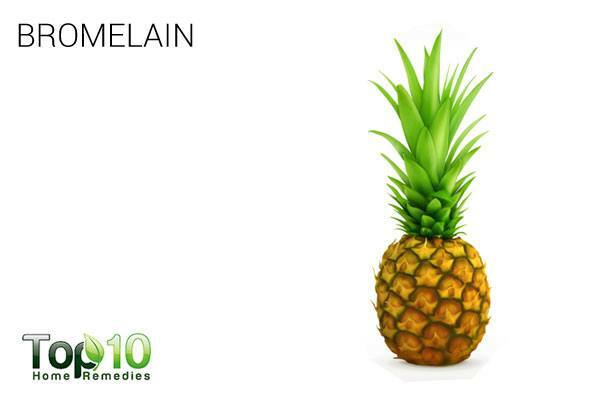 You can take a 500 mg bromelain tablets once or twice daily for a couple of weeks. Another good remedy for trigger finger is turmeric. The compound called curcumin in it serves as an anti-inflammatory agent, hence it can effectively reduce pain and swelling. 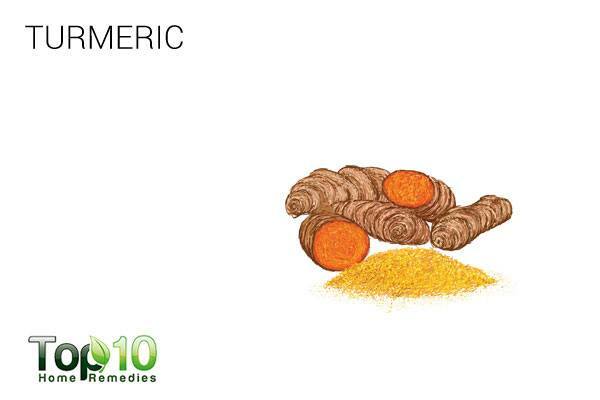 Curcumin also helps improve blood flow to the affected finger, which is important for the healing process. Mix 1 teaspoon of turmeric powder into 1½ cup of milk, bring it to a boil and then let it simmer for 5 minutes. Add a little raw honey and drink this turmeric milk twice daily to promote healing. You can opt to take curcumin supplements, but only after consulting your doctor. Another good treatment that you can consider is acupuncture. It helps increase the blood flow to the affected area, which in turn reduces pain and swelling. 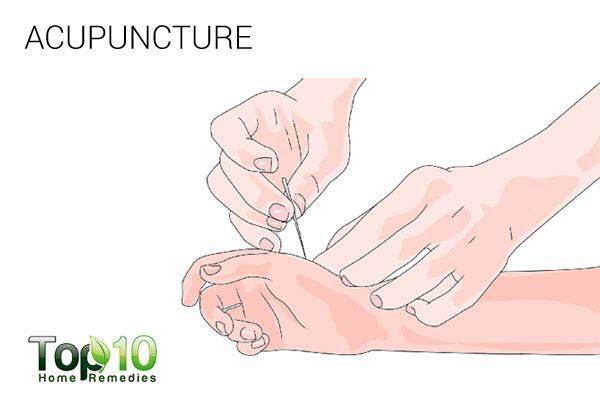 In acupuncture, thin needles are inserted in and around the affected area to address the cause of the inflammation and pain. A 2016 study published in Acupuncture in Medicine reports that acupuncture at the impaired A1 pulley site may be an effective treatment for trigger finger. However, more research is required to confirm the effectiveness and its mechanisms of action. It is best to have acupuncture done by an expert who specializes in it. It may take a few sessions to reduce the pain and restore the mobility of the affected finger. Take over-the-counter nonsteroidal anti-inflammatory drugs, such as ibuprofen, to relieve the pain. Use over-the-counter arnica or capsaicin creams as needed to alleviate pain and swelling. 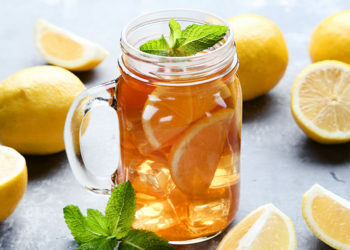 Drink 2 to 3 cups of ginger tea daily to fight the inflammation. 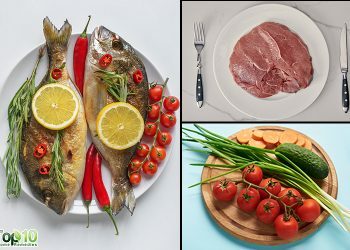 Eat foods rich in vitamin B6, such as liver, fish, raw garlic, sunflower seeds and hazelnuts. 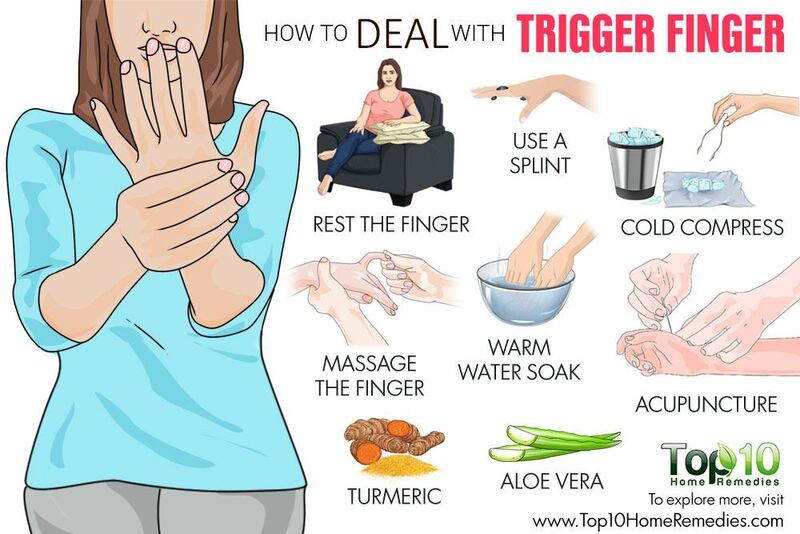 I have gone through your suggested remedies for Trigger Finger and Prickly Heat. My gut feeling is : It will work. Let me start and I shall revert. I’m using these all Exercises. Feeling better. Thanx for your suggestions.